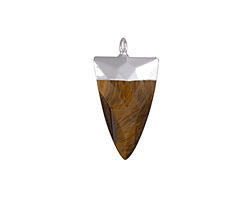 Tiger eye is also often called "tiger's eye". 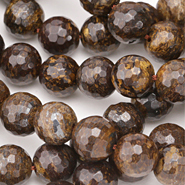 Our tiger eye gemstone beads display lustrous, chatoyant stripes of brown and golden yellow. 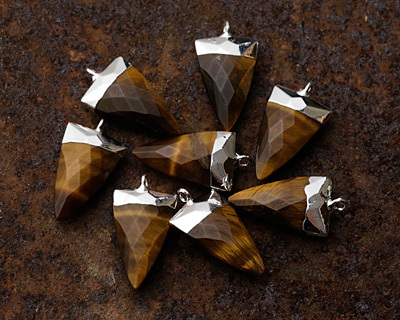 These beautiful stripes shimmer and change as the light changes, giving tiger eye its vibrancy and movement. Most deposits of tiger eye can be found in South Africa, India, Burma, Australia, Namibia and the United States (California). 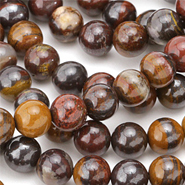 Tiger Eye is a fibrous variety of chalcedony that exhibits a property called chatoyancy, which is an optical reflectance effect that produces vertical, shimmering bands. 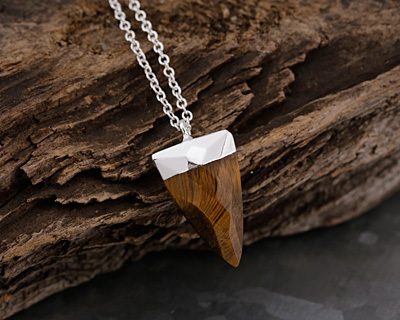 Tiger Eye is formed when parallel veins of crocodilite fibers are first altered to iron oxides and then replaced by silica.